^ Suryakanta (1975), Sanskrit Hindi English Dictionary, reprinted 1986, page 417, Orient Longman (ISBN 0-86125-248-9). ^ Compare: Toynbee, Arnold J. (1988). Somervell, D. C., ed. A Study of History: Volume I: Abridgement of Volumes 1–6. OUP USA. pp. 461–462. ISBN 9780195050806. Retrieved 2016-07-30. 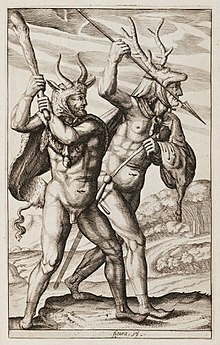 The list of barbarians who have 'come' and 'seen' as mercenaries, before imposing themselves as conquerors, is a long one. ^ Compare: Bispham, Edward (2008). "5: Warfare and the Army". In Bispham, Edward. 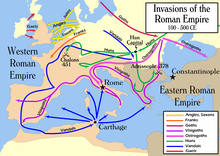 Roman Europe: 1000 BC – AD 400. The Short Oxford History of Europe (1 ed.). Oxford: Oxford University Press. p. 164. ISBN 9780199266005. Retrieved 2016-07-30. 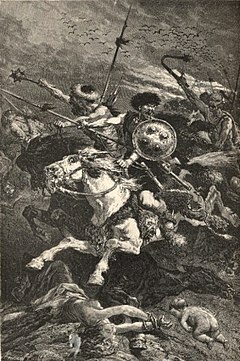 [...] by the fifth century the Roman army had effectively been transformed into an army of barbarian mercenaries. ^ Snook, Ben (2015). "War and Peace". In Classen, Albrecht. Handbook of Medieval Culture. De Gruyter Reference. 3. Walter de Gruyter GmbH & Co KG. p. 1746. ISBN 9783110377613. Retrieved 2016-07-30. The Vikings, for instance, made for particularly convenient soldiers of fortune [...]. [...] Other 'barbarian' groups, including the Alans, Cumans, and Pechenegs, also found their services to be in demand, particularly from the Byzantine and Turkish empires (Vasary 2005). Perhaps the most famous, and certainly the most reliable early mercenaries were the Byzantine Varangian Guard. ^ Kopanski, Ataullah Bogdan (2009). "4: Muslim Communities of the European North-Eastern Frontiers: Islam in the former Polish-Lithuanian Commonwealth". In Marcinkowski, Christoph. The Islamic World and the West: Managing Religious and Cultural Identities in the Age of Globalisation. Freiburger sozialanthropologische Studien. 24. LIT Verlag Münster. p. 87. ISBN 9783643800015. Retrieved 2016-07-30. This model of Byzantine 'state-owned slave-soldiers' and mercenaries from the Barbarian North of the 'Seventh Climate' was subsequently imitated by the Umayyad and Abbasid Caliphs who also had their own 'Ṣaqālibah' troops and Varangian-like bodyguards. ^ Toynbee, Arnold J. (1988). Somervell, D. C., ed. A Study of History: Volume I: Abridgement of Volumes 1–6. OUP USA. pp. 461–462. ISBN 9780195050806. Retrieved 2016-07-30. 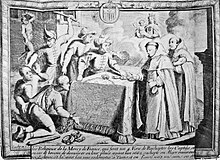 The list of barbarians who have 'come' and 'seen' as mercenaries, before imposing themselves as conquerors, is a long one. 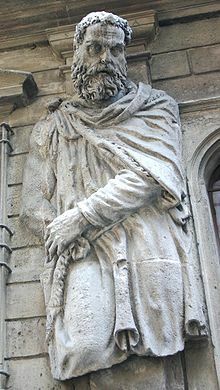 [...] The Turkish bodyguard of the 'Abbasid Caliphs in the ninth century of the Christian Era prepared the way for the Turkish buccaneers who carved up the Caliphate into its eleventh-century successor-states. 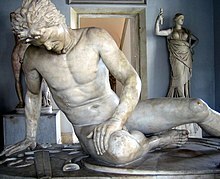 Wikimedia Commons has media related to Barbarians.